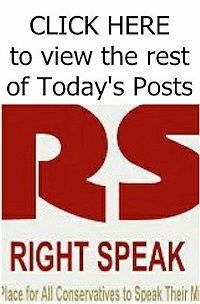 RIGHT SPEAK: Islamist Enclaves Spread To Texas — Base Camps For ISIS? 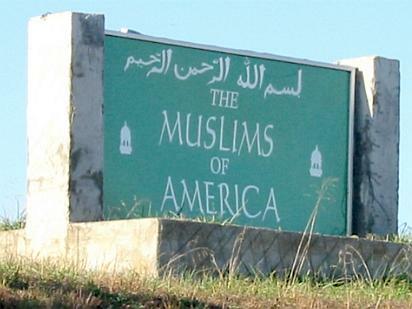 Islamist Enclaves Spread To Texas — Base Camps For ISIS? ihad Enclaves: With names like Islamberg and Mahmoudberg, some 22 of what the FBI calls "enclaves" have been established across the U.S. by a group linked to a Pakistani militant group called Jamaat ul-Fuqra. The specter of 21 Christians being murdered "on the shores of Tripoli" in Libya where U.S. Marines first encountered Muslim forces — the Barbary pirates — and threats by the Islamic State against Rome show how President Obama's "JV team" has metastasized as a global threat. And, yes, it can happen here. The Islamic State is encouraging attacks on infidels in the West like the one in Moore, Okla., where office worker Colleen Hufford was stabbed and beheaded. Lost in the debate about the threat of Islamic terrorism is that the "home-grown" and "lone wolf" terrorists IS seeks to enlist already walk among us. They may find aid and comfort in a network of what might be called training camps established by a group called Muslims of the Americas (MOA), a group that has been linked to the Pakistani militant group Jamaatul-Fuqra, whose members are devoted followers of Pakistani extremist cleric Mubarak Ali Gilani. Ryan Mauro, national security analyst for the Clarion Project, a nonprofit organization that seeks to educate the public about the threat of Islamic extremism, reports, based on FBI documents the group has obtained, the existence of a 22nd MOA paramilitary training camp in Brazoria County, Texas. Called "Mahmoudberg" by the MOA, the FBI describes it as an "enclave" and "communal living site" at least seven to 10 acres large from which gunshots, possibly from target shooting, are frequently heard. With its U.S. headquarters in the enclave of Islamberg, New York, MOA operates its communes in mostly remote areas of Georgia, South Carolina, California, Texas, New York, Michigan, Tennessee, Virginia, West Virginia, and other states.